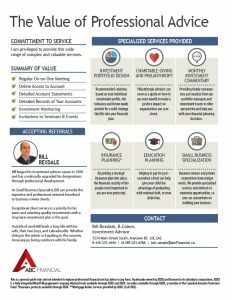 Advisor Profiles – Corporate Referral Program – Ativa Interactive Corp. 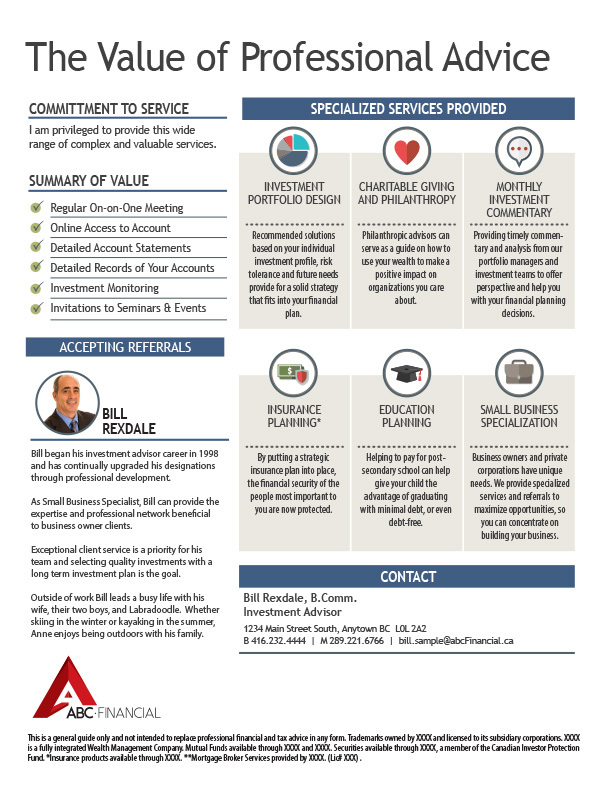 Provide your advisors with this powerful tool to communicate the value of their services to clients and prospects at zero to minimal cost to you (corporate). 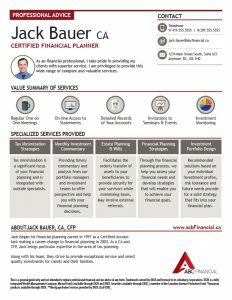 We work with your compliance/marketing departments to create three Advisor Profile templates that are fully branded with your logo, fonts, colour scheme, call to action and disclaimer. 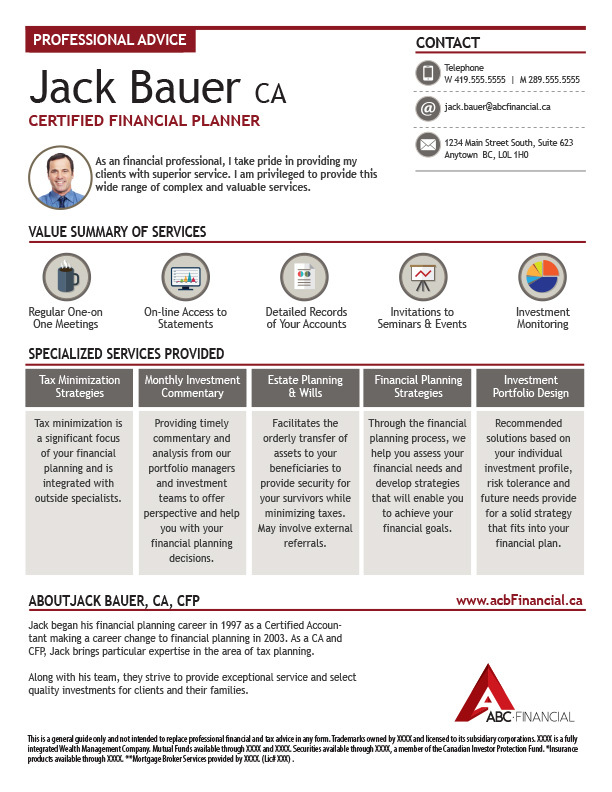 You add a link on your advisor portal to an on-line order form (view sample) where advisors choose and customize their Advisor Profile. 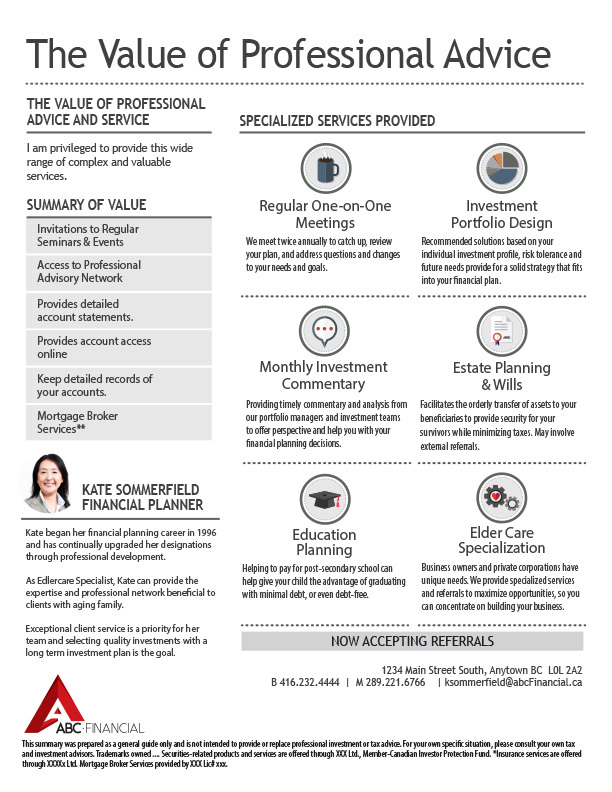 Our graphics designer creates the Profile and sends the advisor a draft for review and compliance approval. We will make any changes and send the final version of the Profile to the advisor. Ativa bills the advisor or your firm, depending on the cost sharing arrangement. 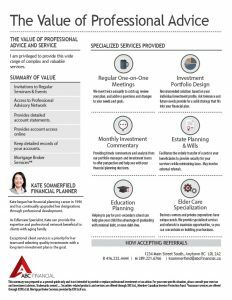 Whether your organization wants to fully fund your advisors’ profiles, share the cost or have the advisors pay the full cost, the Corporate Referral Program is a great tool.